This is one of the better objects missed by Charles Messier in the preparation of his list of objects to avoid when searching for comets. 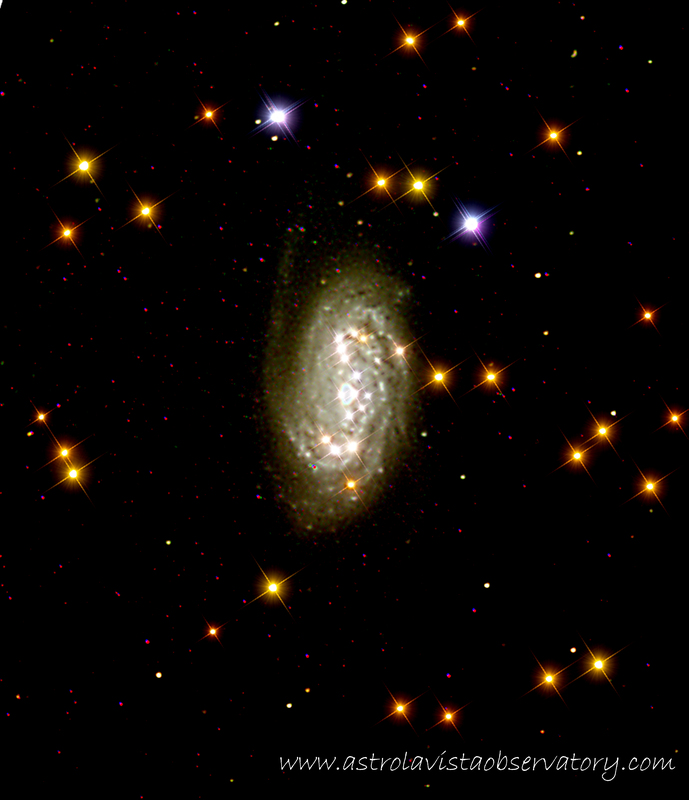 Located in the constellation Leo it is around 31 million light years away and has the luminosity of 19 billion suns. It has been adorned with festive star spikes just for fun. This image was taken with the 11 inch Celestron EdgeHD and is a composite of 20 images taken with RGB filters and processed in Maxim DL and Photoshop. See if you can find two double stars in this photo. 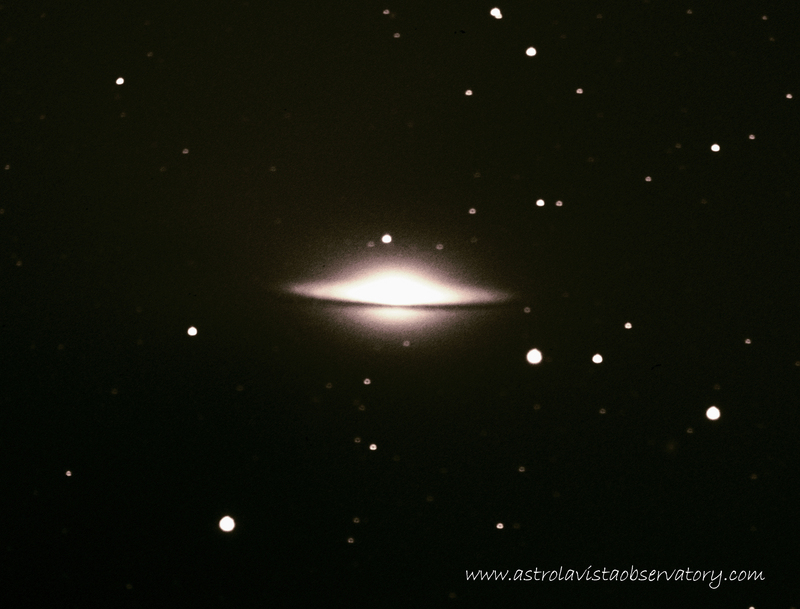 Otherwise known as the Sombrero Galaxy or Messier 104, a black and white photo of this galaxy was shown in the ending credits of each episode of the original version of “The Outer Limits.” It is fitting that the Sombrero Galaxy is the first deep space object taken from the Astro La Vista Observatory given its Southwestern theme. 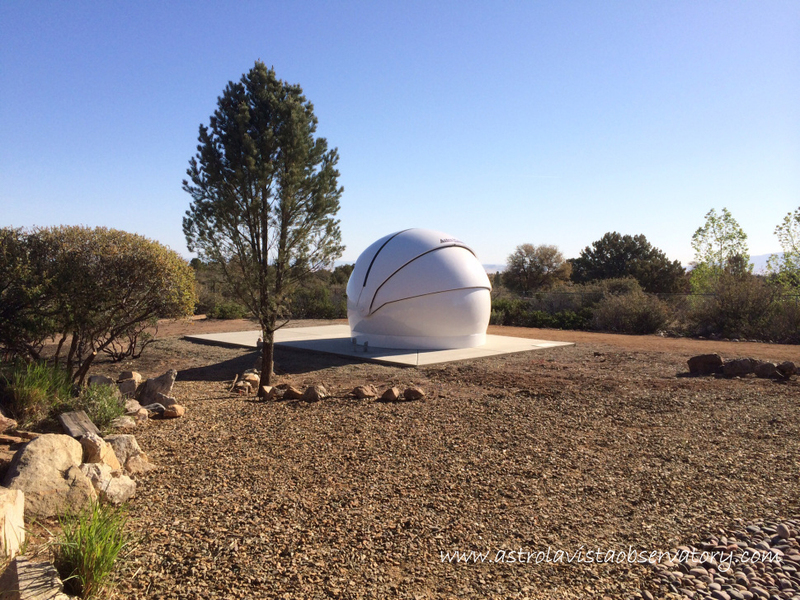 Hanging down from the Western tip there is a 10th magnitude star that the author of “Deep Sky Wonders” describes as a bauble. An interesting tidbit is that this Galaxy has a luminosity of 210 Billion Suns and is 16 times the brightness of the Milky Way. It doesn’t appear that the Universe will be running out of energy any time soon. This was taken with the 11 inch Celestron Edge HD at f/7 along with the QSI camera with RGB filters. It is a composite of approximately 20 stacked images with exposure times running between 60 seconds and 200 seconds. 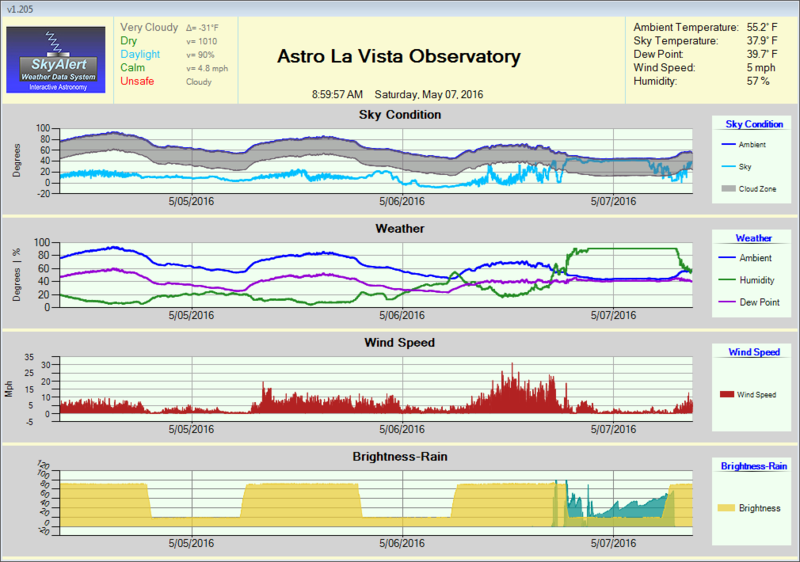 This is the first image taken from the Astro La Vista Observatory. 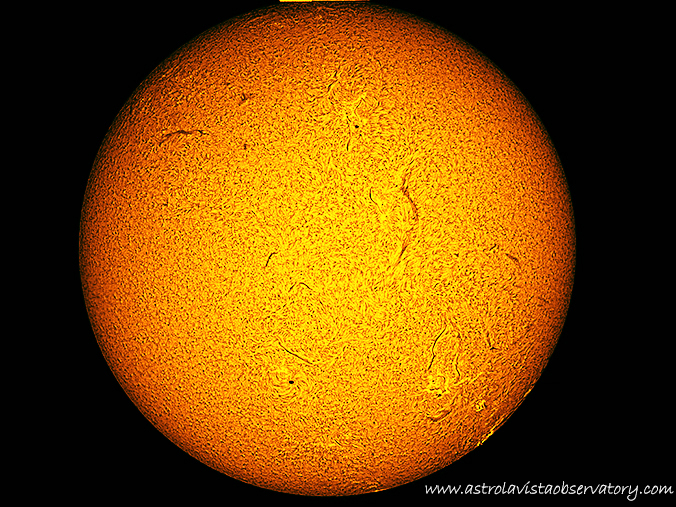 It is a composite of 5000 images taken with a Lunt 80 Solar Scope. The images were taken with a DMK 51AU02.AS monochrome camera and stacked in Registrax 6. Then the image was processed in Photoshop. Some solar viewing at the annular eclipse.